Yamaha celebrates the 40th Anniversary of Yamaha Synthesizers with the Yamaha Synth Book. 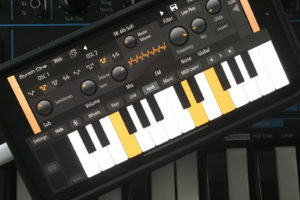 This app features a complete history of Yamaha Synthesizers, an integrated virtual analog soft synth, and serves as a portal to Yamaha’s online synth communities. – HISTORY features detailed, behind the scenes information about the 40-year design and development history of Yamaha synthesizers. This fascinating historical accounting of the technological breakthroughs behind some of the most innovative, musical and successful Yamaha synthesizers is a must-read for all synth fans. – AN2015 features virtual analog modeling like the AN1x. It also features a drum part that can keep the beat going while you perform and control the main synth part. ● Use case 2ÅFUse it with a MOXF as an external tone generator! – NEWS provides you with information such as driver updates, local event and sales campaign. – PORTALS features links to Yamaha’s online communities. Connect with other Yamaha Synth fans around the world on Facebook or Yamaha’s own online synth community: yamahasynth.com. 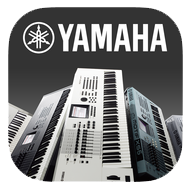 – YAMAHA APP CATALOG introduces other Yamaha Synth iOS Apps. SSSSYNTH is Monophonic Virtual Analog Synthesizer. 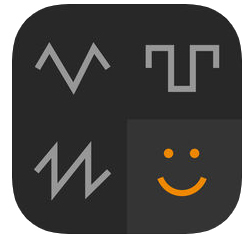 This is a basic monophonic synth app and it’s free. Version 1.0 does not support CoreMidi. You also can not store any of your settings or patches. Filter section is not smooth. You can hear stepping. Weird white keys, not typical length. Nice delay with filter effect. Oh yeah it’s free!